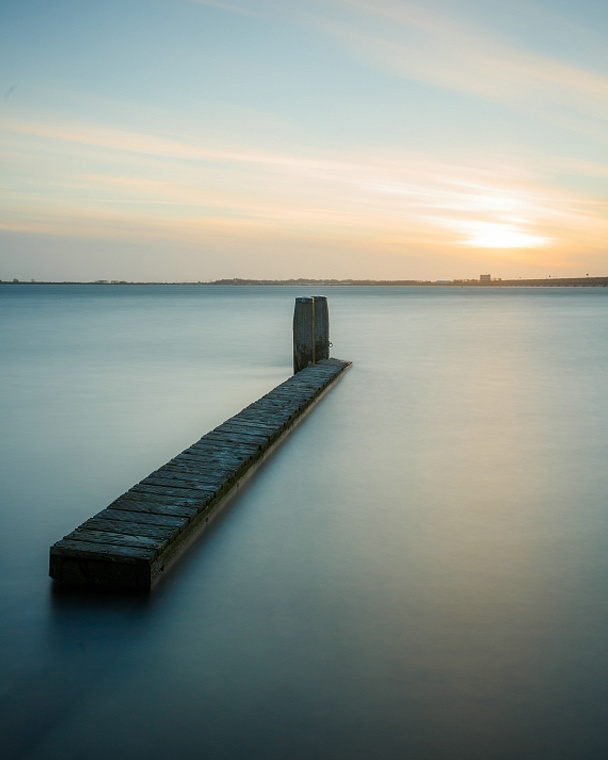 We all have seen landscapes shot with long exposures. The water becomes smooth as silk, like a mist between rocks. Those pictures are often shot with shutter times between 30 seconds and 5 minutes. You love it, or hate it. 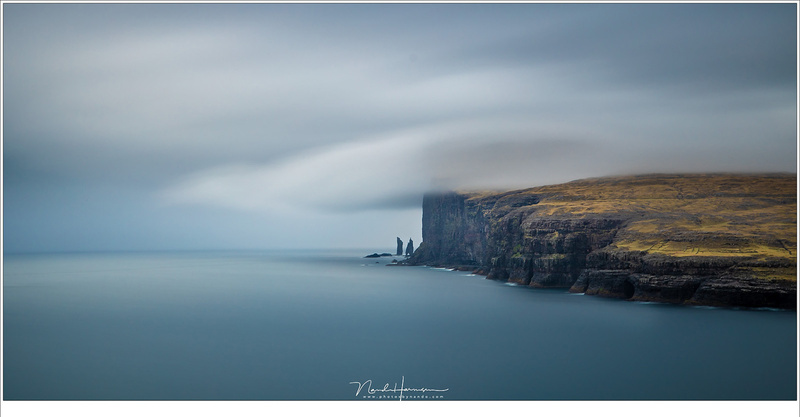 It is also possible to stay away from that misty water, and show the movement of water – or clouds for that part – by choosing the exposure time depending on how fast the water or clouds are moving, and how much movement you want in the picture. The examples below show the difference between a very long shutter time, and a less long shutter time. 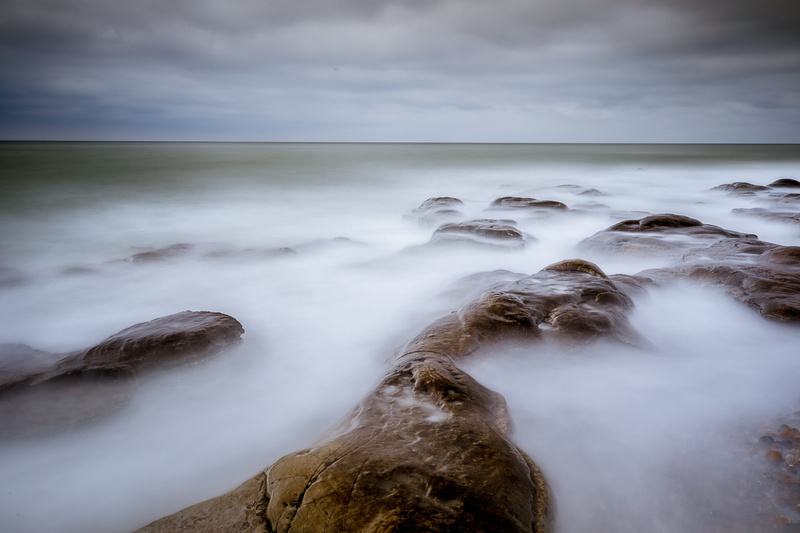 A really long exposure time will transform the moving water into a milk white mist between the rocks. It is something you like or hate. 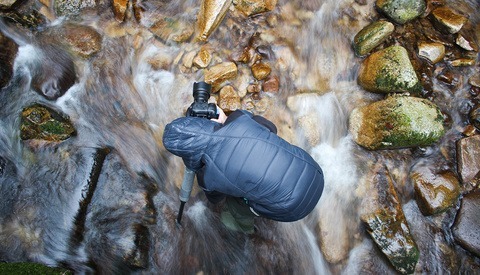 Choosing an exposure time that is not that long, the movement of the water becomes visible. It is a much more dynamic picture. 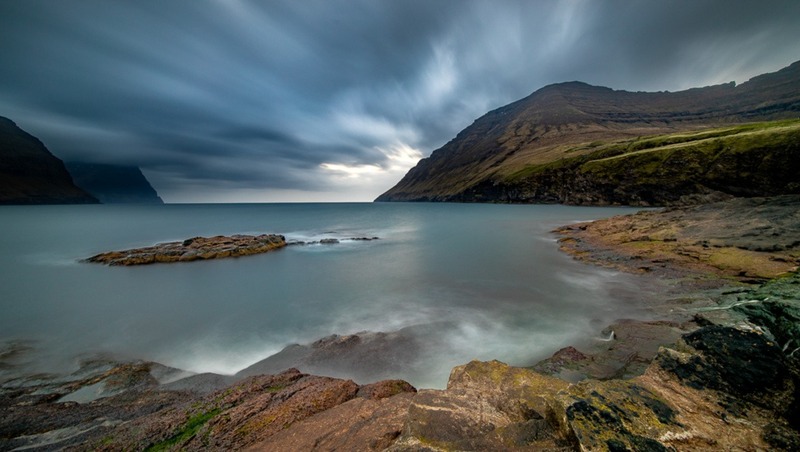 Unless you shoot under dark conditions, like twilight or night, it is nearly impossible to get these results without the aid of neutral density filters (ND filters). One of the first neutral gray filters was the famous Lee Big Stopper, which allows to shoot with a shutter time that is a thousand times longer (although the Big Stopper was not as neutral gray as the name suggested). 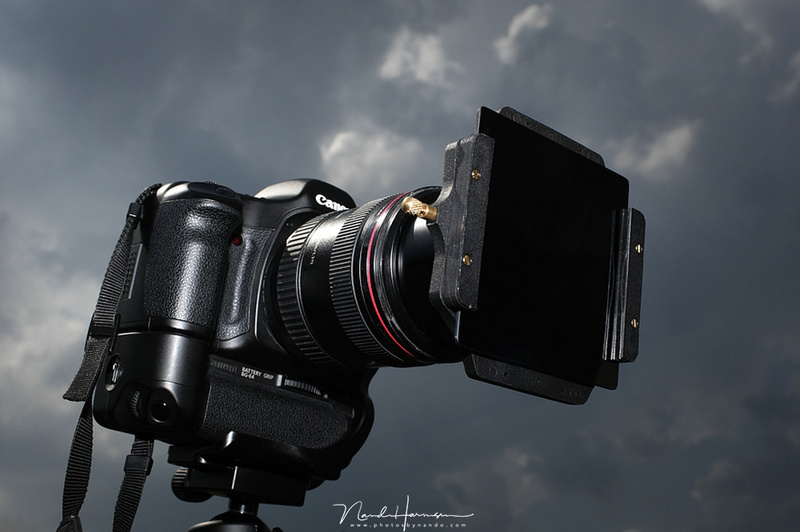 These 10 stop ND filters make it possible to expose the sensor for 30 seconds at high noon, under a sunny sky. The original Lee Big Stopper, the first 10 stop Neutral Density filter that makes a 1000 times longer shutter times possible. Today there are even darker ND filter available, that can reduce light up to 32000 times. With such a filter you can use a shutter time up to 17 minutes under a sunny cloudless sky at noon. Unfortunately these neutral density filters can be expensive. If you don’t use these filters on a regular basis it might be too much to invest in. You could try to find a really cheap filter, but the quality can be very poor and the color cast can make post processing very, very difficult. 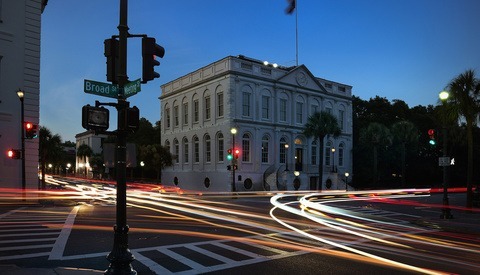 But there is way to imitate the effect of a longer shutter time with the help of software. You just have to take a lot of pictures… and by that I mean, a lot. The technique is quite simple. Determine how long you want your exposure to be, and shoot a series of photos during that wanted exposure time with the slowest shutter speed possible. For example, if you want a photo with exposure time of 30 seconds, and you cannot get below 0.5 seconds with the lowest ISO and smallest aperture, you need to shoot a series of frames of 0.5 seconds during that 30 second time frame. This way you end up with 60 frames. If you want a one minute exposure time, you need to take 120 frames of 0.5 seconds. For a two minutes exposure it will be 240 frames, and so on. As you can image, a really long exposure simulation will make it necessary to shoot a massive amount of frames. You can make it easy on yourself by activating the time lapse feature of your camera, if present. Or you can set your camera on continues frames and use a remote controller that can be blocked for continue shooting. That way you can let the camera automatically take those frames. You just have to wait. 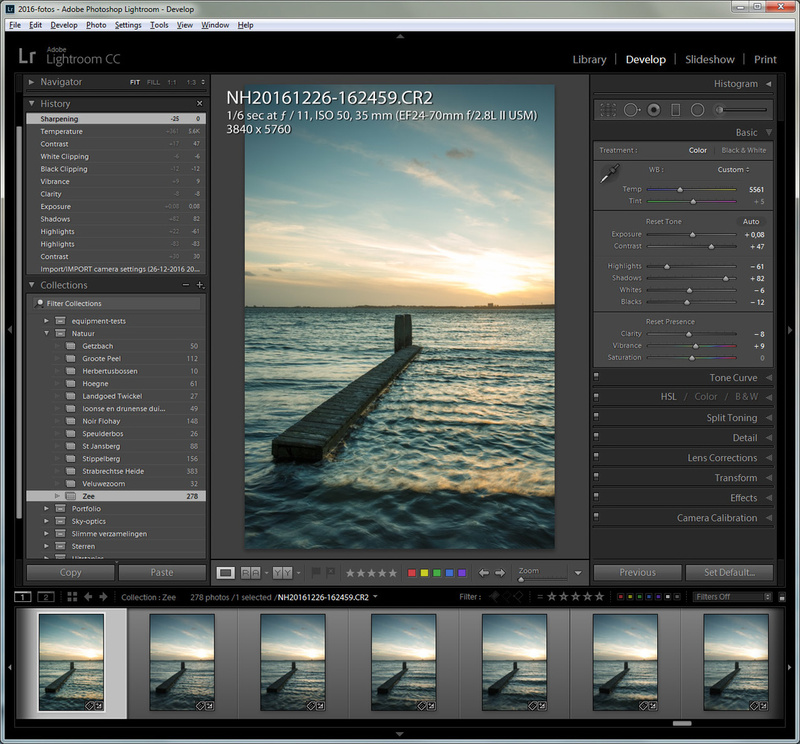 After importing all images in Lightroom, you can do the post processing you always do. But be careful with Lens profiles. Disable it to prevent strange effects after stacking the images. Shooting the images is easy. Afterwards you need to add these images into one single photo. The trick I will show makes use of Lightroom and Photoshop. After importing the images from your memory card you must perform exactly the same post-processing to each of the images. Just post process one image, and duplicate the settings (synchronize setting) to all other images of that series. I would recommend to disable any lens corrections because it can result in unwanted effects. Every image of the series must receive the same post processing. 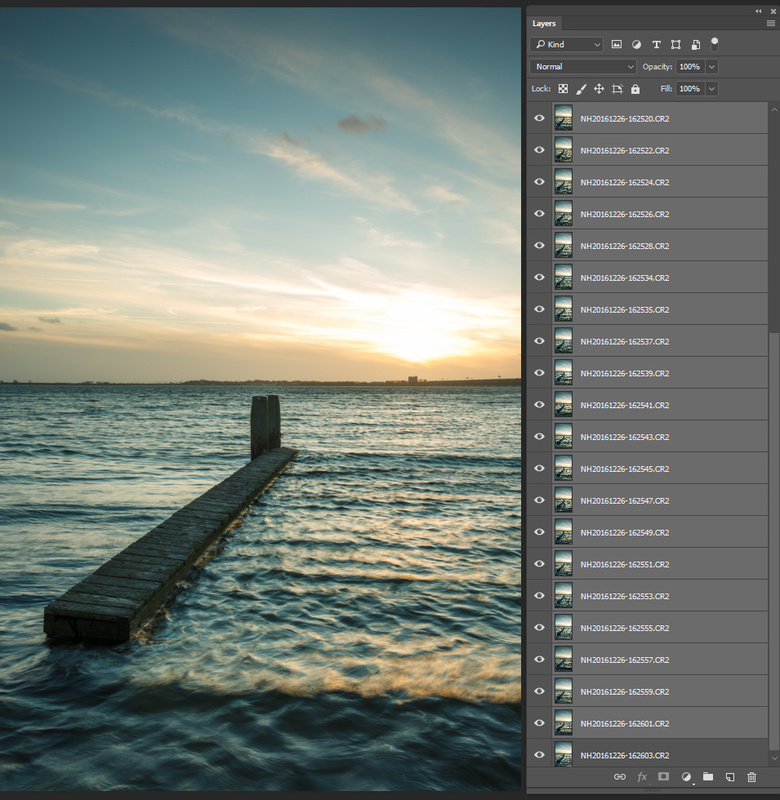 This is made very easy in Lightroom by synchronizing settings. Select all images that need to be merged together and open the context menu. 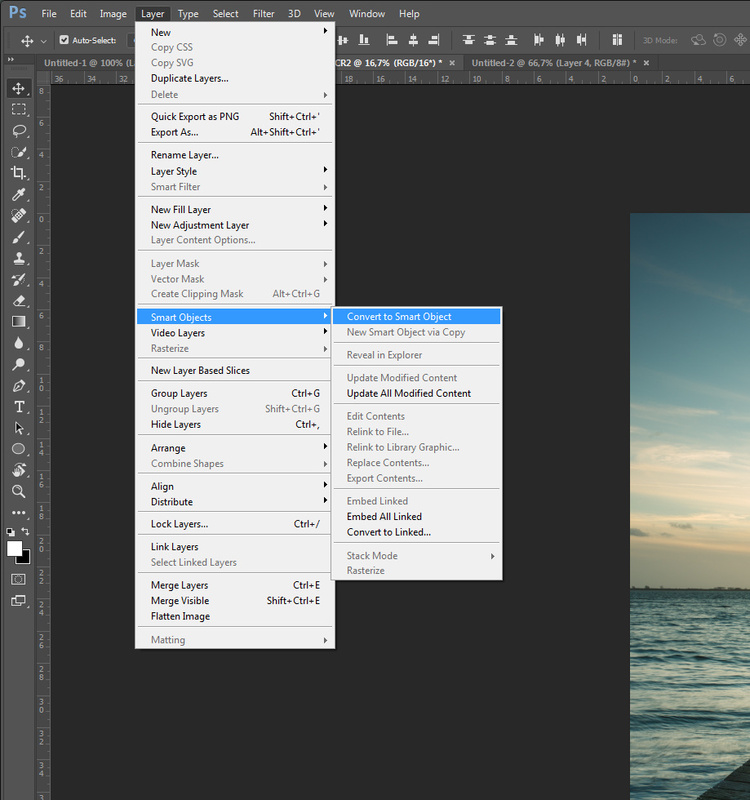 Choose Edit In and Open as Layers in Photoshop. Now you have to wait until all images are transferred to Photoshop. How long you need to wait depends on the amount of images, the speed of your computer, and how many megapixels you have per image. Some advice when the amount of images is very large: split the series of images in two, three, or more parts. Merge these parts separately, and then merge these separate parts into the final picture. Perhaps it takes a while, but eventually you have all images loaded into layers. If you have too many images, you can divide the amount and repeat the steps. Now we get to the time consuming steps, so you need to be patient for this. Select all layers in Photoshop and convert these into a Smart Object. 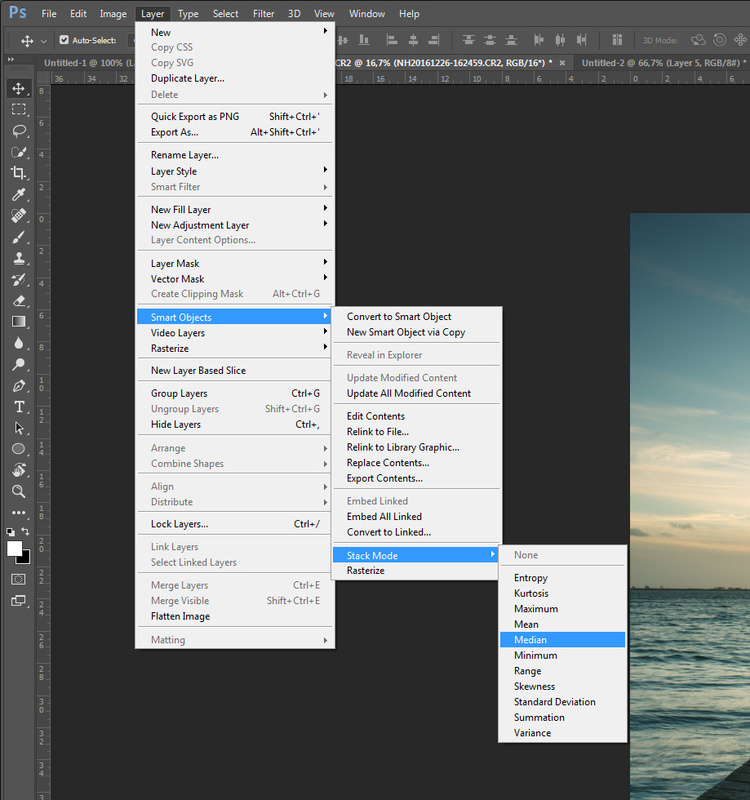 If you use a Photoshop version without the Smart Object option, you may select all layers — except the bottom layer — and change the blending mode into Lighten. The result is not the same, but similar. When the layers are transformed into the Smart Object, open the Layer menu, choose Smart Objects and Stack Mode. From the different stacking options I advise the option Median. After some time the stacking is finished and you can see the result on screen. The final step is to Rasterize the Smart Object, and you’re done. After the Smart Object is made, you can stack the layers in the Smart Object. The best result will be Median stack, but you can experiment with other stacking modes. For this example I ony used 31 images, each with 1/6 sec exposure time. The end result simulates an exposure time of 5 1/6 sec. 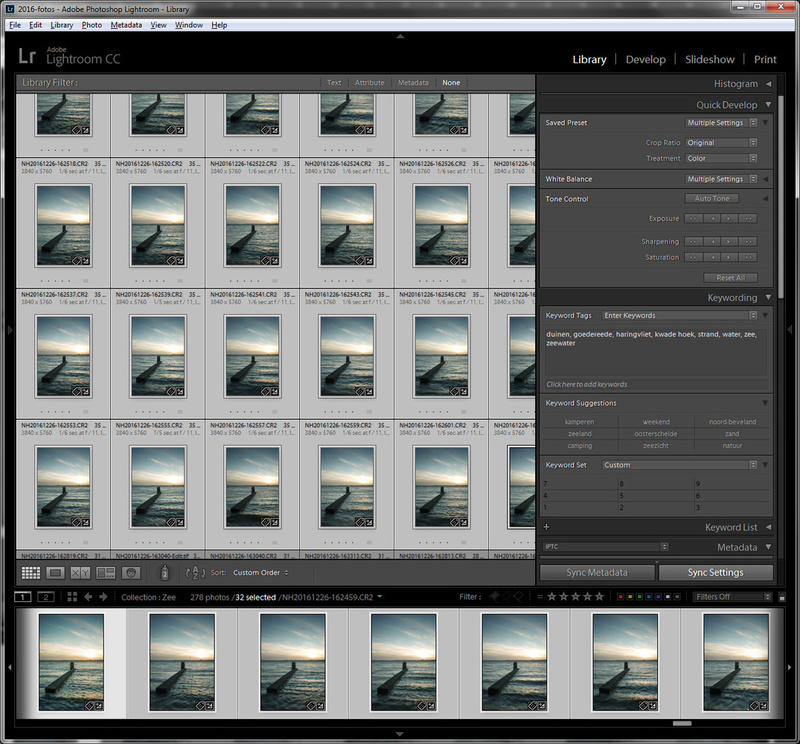 If I wanted to simulate a 2 minute exposure, I would need to stack a total of 720 images. The difference between a 5 second stack and a 2 minute exposure can be seen below. The result of a 31 image stack. This simulates a 5 second exposure. It is not an honest comparison, because of the difference in exposure time. I find the stacking of 31 images doable, but a stack of 700 images is a lot of work, and it would be advisable to do this in parts. It implies this technique is not very user friendly for a massive amount of frames, imitating really long exposures. Some cameras can automatically stack a couple of photos. 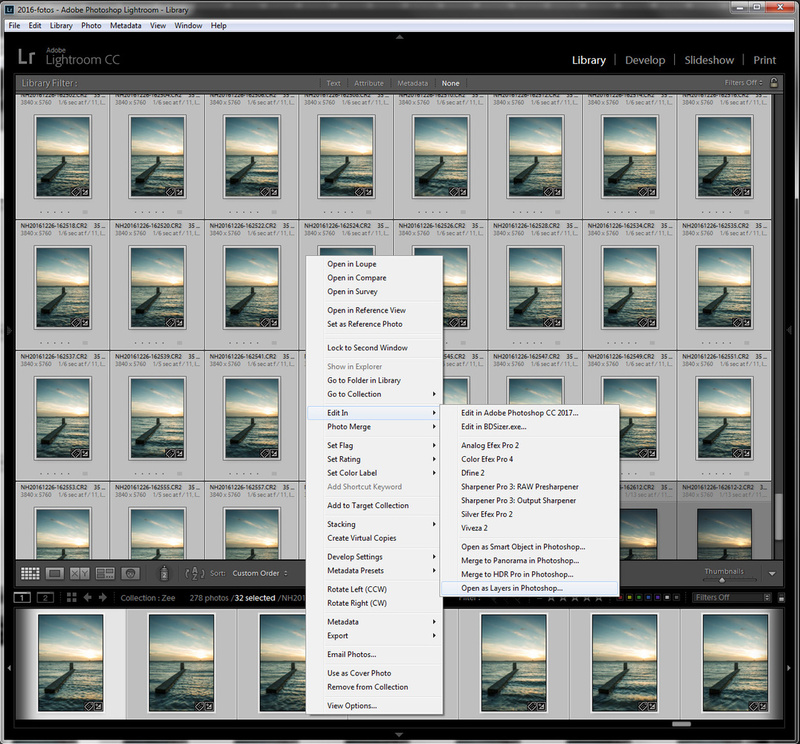 Activate the option Multiple Exposure (as it is called on a Canon camera) and choose the maximum amount of images, which is often limited to nine. 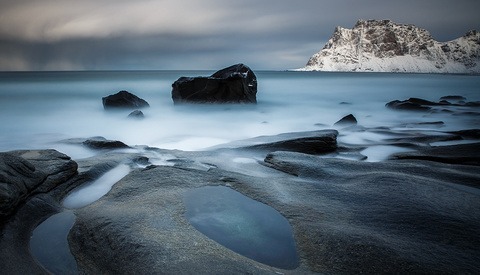 Use the stacking option Average and you can get an in-camera stacking to simulate a longer exposure. 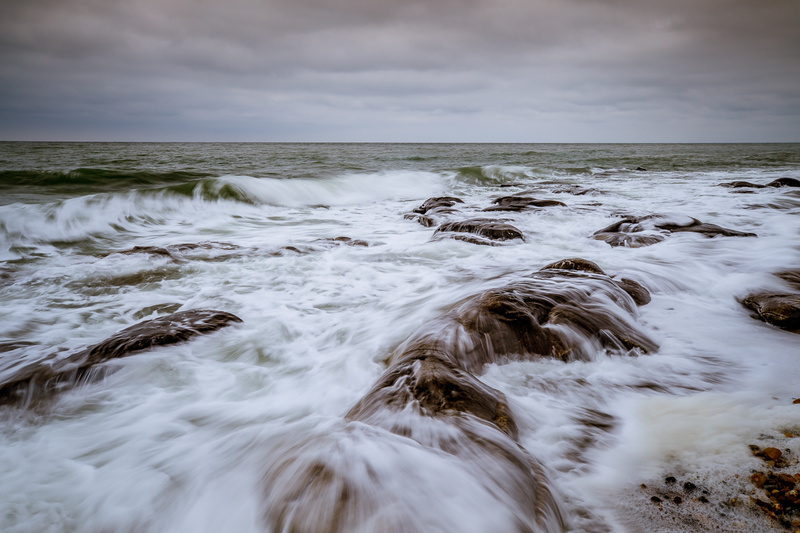 I would advise to invest in a decent neutral density filter if you really like longer exposure photography. But for one time use, stacking is a nice possibility. Have you ever used this technique to stack images? Please let me know in a comment below. 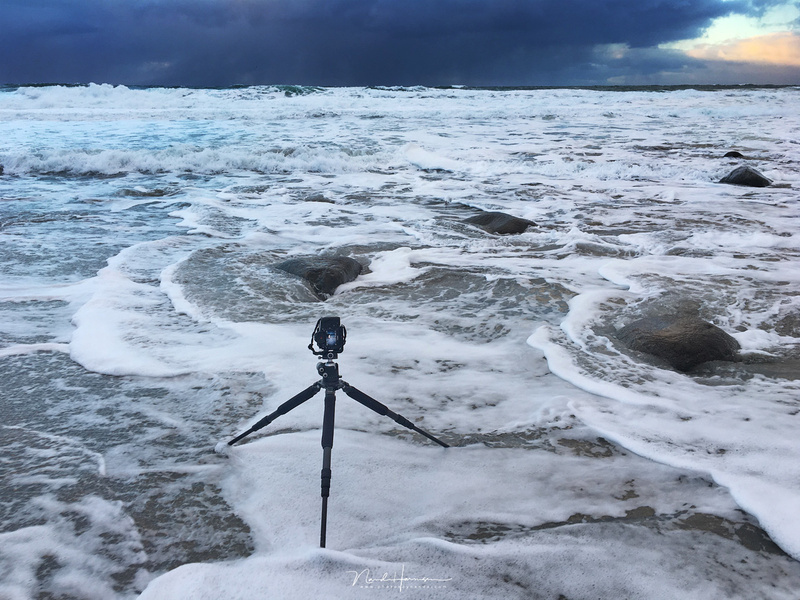 Does Using a Neutral Density Filter for Time-lapses Make a Difference? Great article, and it give me an idea -- how about in-camera multiple exposures? Hmmm . . . Have to give that a shot . . .
Often in-camera multiple exposures are limited to nine. At least with the Nikon D850 and with Canon EOS 5D4 and sibbelings. If you can use it with 5 second exposures you should get a decent long exposure in-camera.